Palm City Gwadar has B Category NOC, which means that it lies within the area which is under initial development phase, and GDA will build basic infrastructure over the next couple of years. Category A areas are those where GDA development work is in final stages, and development work is being carried out on priority basis. 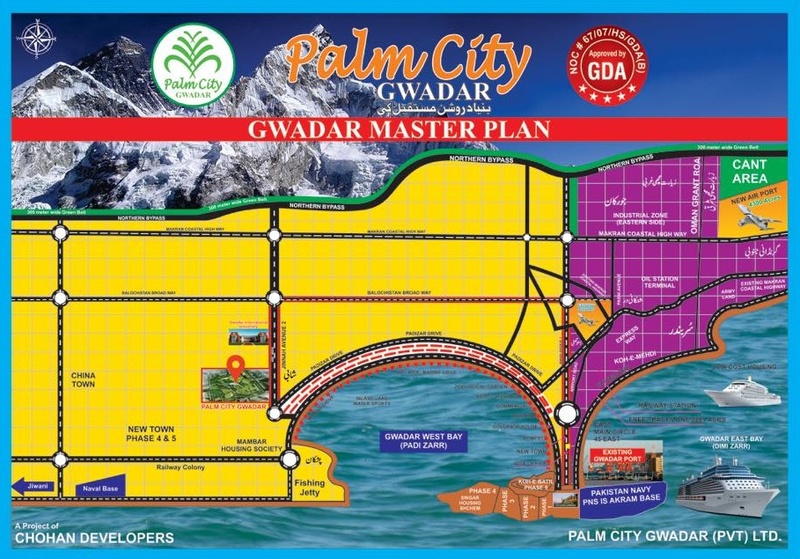 The location of Palm City is close to Gwadar West Bay, and it will be connected to all parts of Gwadar City through major arteries. The project is currently under initial phase, and its master plan is still to be revealed. Once we have the master plan, we will be able to analyze thoroughly the quality of town planning in Palm City Gwadar. The society offers different sizes of residential and commercial plots on 3 years installment plan. 5 marla, 10 marla, 1 kanal and 2 kanal residential plots, as well as 2 marla, 5 marla and 10 marla commercial plots are available for booking in Palm City Gwadar. Bookings starts from 10% down payment, while remaining amount is payable in 36 monthly installments and 3 annual installments. 10% discount available on 100% upfront payment of plot, and 5% discount available on 50% upfront payment. One month installment discount is given on 20% upfront payment. 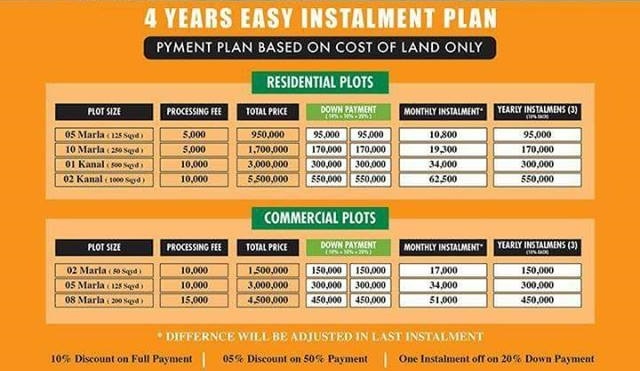 Please note that the given prices include cost of land only. Development charges will be applied at a later stage after the physical development work is initiated on the project. Currently you will get files without number, as plots will be allotted numbers through balloting after the master plan map is released. If you need more information on the project, feel free to leave us an email at marketing@manahilestate.com.